Considering Ghent's numerous charms, it doesn't attract a huge number of visitors. This curious fact is in your favour if you visit soon as surely everyone's going to catch onto this pretty, cosy, interesting city in no time? 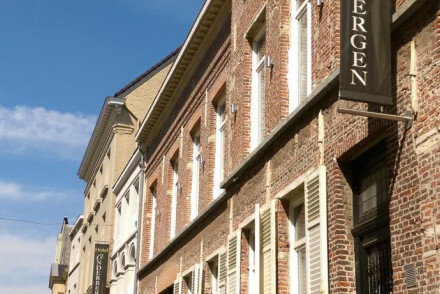 The fact that Ghent is less popular than say Bruges means that you'll find some of the best places to stay in Ghent are actually great value, as well as being beautiful and luxurious. Ghent's beautiful, canal side architecture is romantic by day and night. In the evening the restaurants and bars offer buzz, but also privacy - Ghent really feels like a proper, lived-in city, so the people you see out at night are the people who live here. The wealth of this port has made its public, and religious, buildings wonderful, and everywhere you turn there's something lovely to look at. St Bavo's Cathedral, with fine stained glass, a collection of Van Eycks and a soaring 14th Century belfry. Gravensteen, an impressive 12th Century castle - complete with a moat as well as armaments and torture instrument displays. If you're into your museums then be sure to check out STAM Ghent City Museum, the Museum of Fine Arts Ghent or the Museum Dr. Guislain. These are all fascinating spots to spend an hour or two. Ghent is small enough to get around easily, almost everything is within walking distance from the centre of town - the best places to stay in Ghent have easy access to public transport which is cheap and efficient. Only a five minute riverside walk from the town centre, the Hotel Onderbergen is a comfortable, well designed base. There are 12 rooms, some with nice period features, like murals and freestanding baths. And rooms start at less than £100 a night. Just around the corner from Castle Gravensteen and St. Bavo Cathedral, Hotel Harmony is also right on the canal. Rooms are large and modern, with the top floor offering the most stunning outlook. 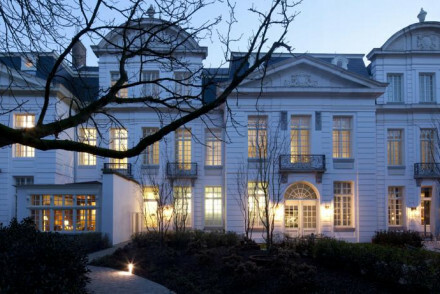 With only four gorgeous rooms in an 18th century mansion house, Hotel Verhaegen is romantic and intimate. It's run as a private mansion by two interior designers, so the restoration has been done with care. It's close to restaurants, shops and the buzziest riverside bars, but its courtyard is still quiet and peaceful. Angels on the Waterfront is a stylish, two room B&B, with beautiful river views just outside the centre of town. The setting is peaceful, but you're really on fifteen minutes walk from the centre, and you're close to the museums. Set in an elegant 18th century property, Sandton Grand Hotel Reylof combines original design features (think high ceilings and large windows) with contemporary interiors - all to great effect. There's also a luxurious spa in which to unwind after a day out sightseeing. A truly magnificent couples city break. The Aquarius Boutique B&B is a three room B&B with a jacuzzi, heated indoor pool, Finnish sauna and Turkish steam bath. All these luxuries come as part of the room rate, which starts from £125 per night. 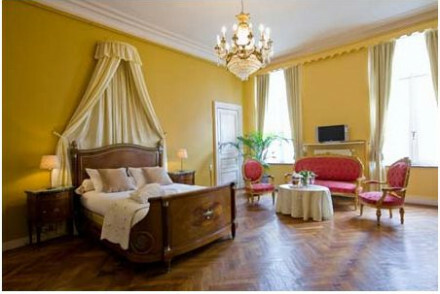 The Charme Hotel Hancelot offers very reasonably priced period charms from as little as £81 per night. Built in the 18th century, this townhouse has retained a lot of its best features and has been decorated to compliment - though the bathrooms are modern, as is the small gym and sauna. Quirkily converted from a 13th century monastery, Monasterium PoortAckere has a more varied range of rooms (and prices) than most hotels. The nun's quarters are surprisingly comfortable, but the best deals are to be found in the former Chaplain house. They also have special deals for children. If you think you'd prefer the privacy of a self-catering option then browse through the wide variety on offer with our partner Booking.com. Ghent's nicest weather wise in the summer, with the average temperature rising to 18°C in July and August. As this is peak season though expect it to be fairly busy and expensive. Visiting in the spring or summer are cheaper and quieter alternatives, alternatively consider coming during the festive period when there's a wonderfully atmospheric Christmas Market. International visitors can fly into Brussels Airport before heading on a half an hour train ride to Ghent. There are a number of direct flights each day to Brussels from a variety of UK destinations. Browse through our list of all the best places to stay in Ghent. Expand your search to the best places to stay in Bruges or the best places to stay in Brussels. Once the home of a wealthy Baron, this C18th townhouse has been beautifully restored to exhibit the original period decor. High ceilings, glistening chandeliers and ornate fire places. Breakfast is served in a light airy room with views to the quiet street below. Comfortable, spacious bedrooms. City Style - A great location and once and elegant aristocratic townhouse. A grown up and stylish B&B with views over the River Scheldt in Gent. Elegant white on white rooms feature large windows, balconies, chandeliers and roll top baths. Set in a quiet riverside district with good transport links. A chic option. 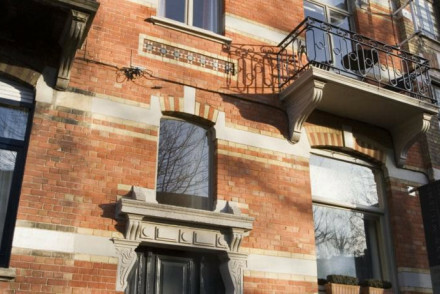 City Style - Sophistication and elegance galore in this two bedroom B&B set in a 1900 mansion overlooking the River Scheldt in Gent. Sights nearby - Visit the nearby St Peter's Abbey, a former Benedictine abbey, now a museum and exhibition centre. 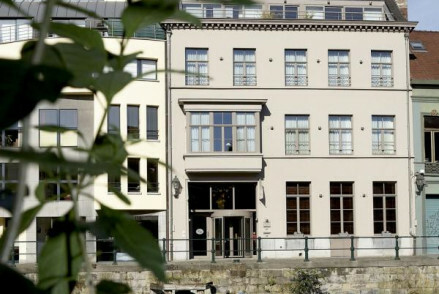 Elegant 18th century environmentally friendly hotel in Ghent. It combines distinctive original features such as long windows and high ceilings with contemporary interiors to maximise comfort and aesthetic. The former coach house is fitted with a luxurious spa and wellness centre. A Flemish gem. City Style - A unique combination of champagne bar and French-style luxe decor, and environmentally minded services and Green Key eco-label. Romantic Break - An indulgent and elegant romantic escape, with double rain showers, pampering spa, top restaurant and unbeatable service. Sights nearby - Guests must check out the old fish market, 15 minutes down the road. 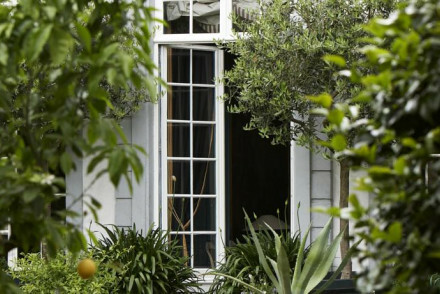 A new breed - a 'spa B&B' of just three rooms on the edge of the city. 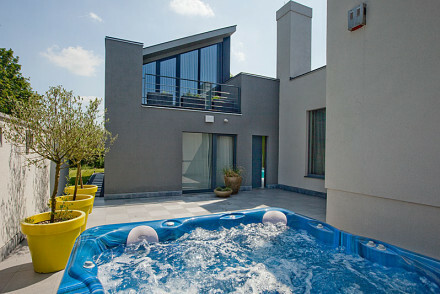 with sauna, Turkish bath, outside jacuzzi and indoor pool. Come for a pampering city break. Right in the heart of Ghent, 1898 The Post is a stellar hotel. Based in a glorious historic post office, the hotel is awash with heritage and charm. 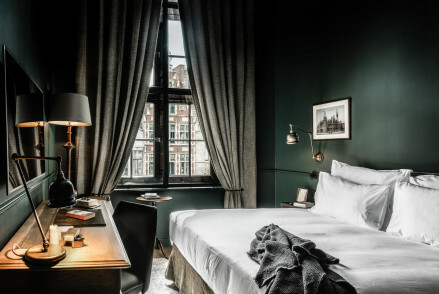 Beautiful rooms and a lively bar make it a great base for a weekend of exploring Ghent. Sights nearby - Within two minutes walk of St Michael's Church, St. Nicholas' Church and Great Butchers' Hall. Local markets - Visit the amazing nearby Bloemenmarkt. Modern and stylish hotel in two historic buildings, in a great central location. Highlights into a pretty courtyard garden and a pool. Top floor rooms have great views. Small interior-designed 18th century mansion-house B&B, with a distinctive mix of period features and modern design. Contemporary bathrooms with large tubs, waterfall showers and Floris products. A gorgeous property with great attention to detail close to the city centre. City Style - A stunning maison d'hôtes, with indulgent fabrics, crystal chandeliers, 250-year-old Rocco murals and marble fireplaces. 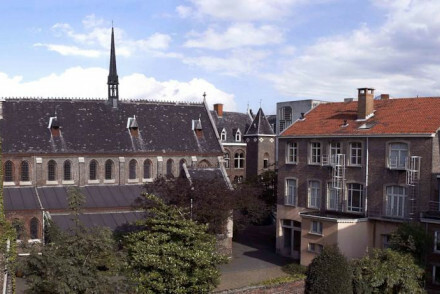 Sights nearby - Explore the Flemish architecture of the historic centre on a private guided tour. Local markets - Scour for classics in the second-hand book market of Ajuinlei.